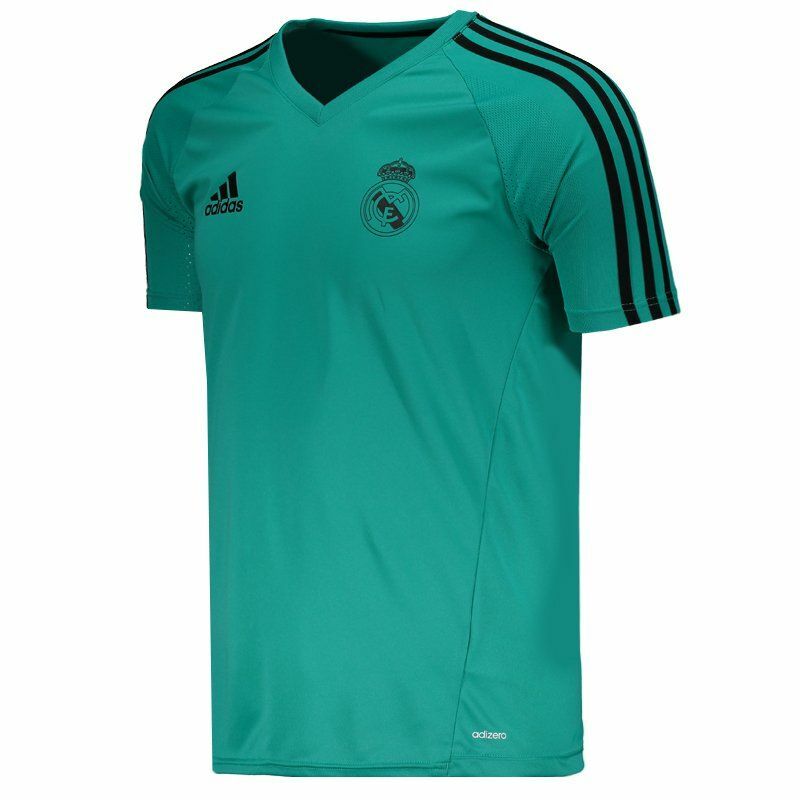 Produced by Adidas, the Real Madrid training shirt offers name and number customization, ideal for fans to wear their love for the team. The piece is part of the AdiZero ™ line. More info. 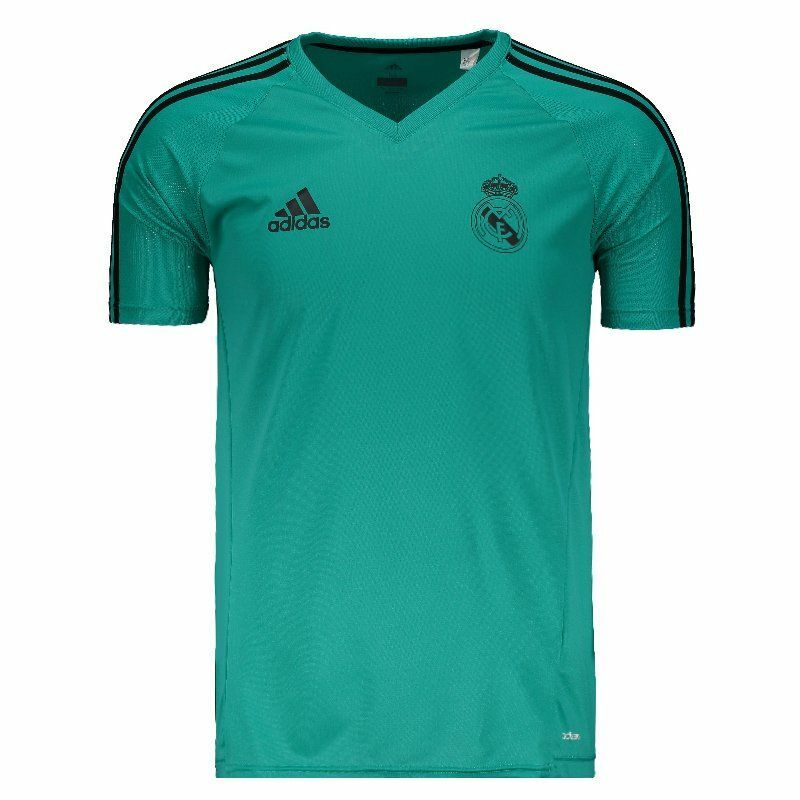 Produced by Adidas, the Real Madrid training shirt offers name and number customization, ideal for fans to wear their love for the team. The piece is part of the AdiZero ™ line, developed with high quality, lightweight, breathable and high performance fabric that helps keep the body fresh, dry and comfortable. Made in polyester, Climacool® technology, which is responsible for managing the ventilation and moisture of your body, providing comfort and excellent performances. 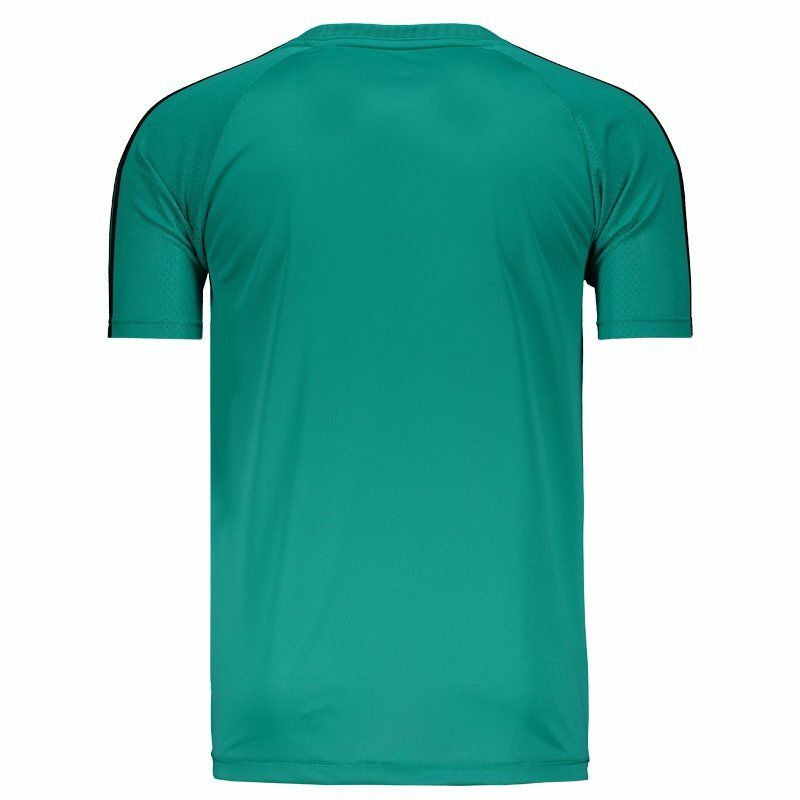 Its design is composed of a shade of green water with black on the Adidas logo, which marks the sleeves and the right side of the chest. 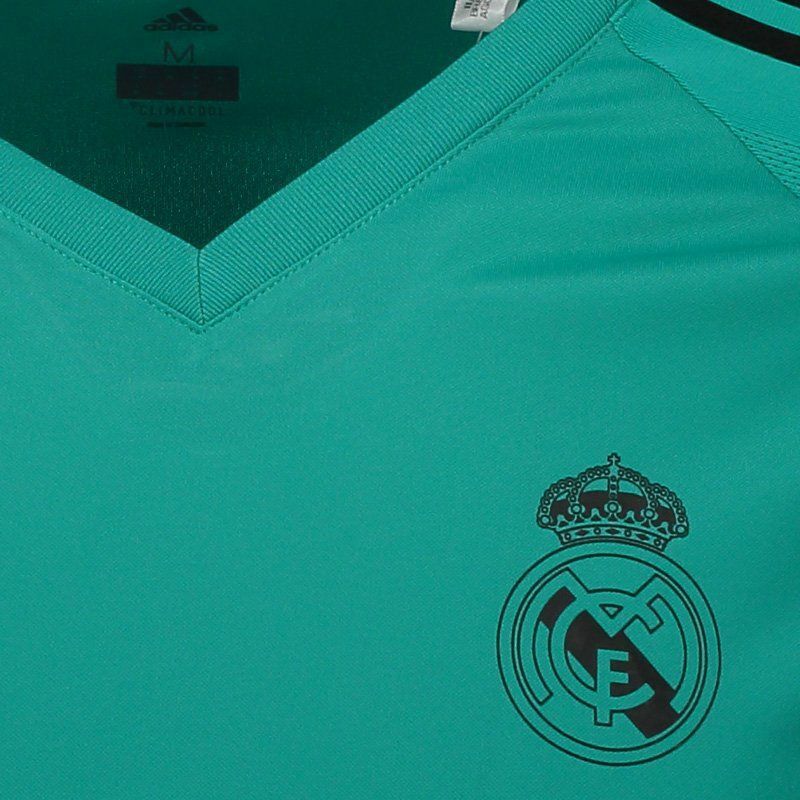 In addition, on the left side the team badge appears prominently set. Finally, the short sleeves complement the details as well as the V collar.